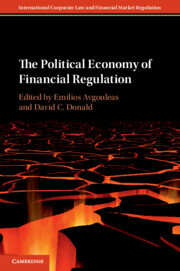 Corporate law and financial market regulation matter. The Global Financial Crisis has challenged many of the fundamental concepts underlying corporate law and financial regulation; but crisis and reform has long been a feature of these fields. A burgeoning and sophisticated scholarship now challenges and contextualizes the contested relationship between law, markets and companies, domestically and internationally. This Series informs and leads the scholarly and policy debate by publishing cutting-edge, timely and critical examinations of the most pressing and important questions in the field.